"According to our constitution, we have the right and the duty to defend our borders peacefully," said Freddy Bernal. Food and medicine organised by the US federal government's USAID agency arrived on Thursday and have been stored at a warehouse on the Colombian side of the border. 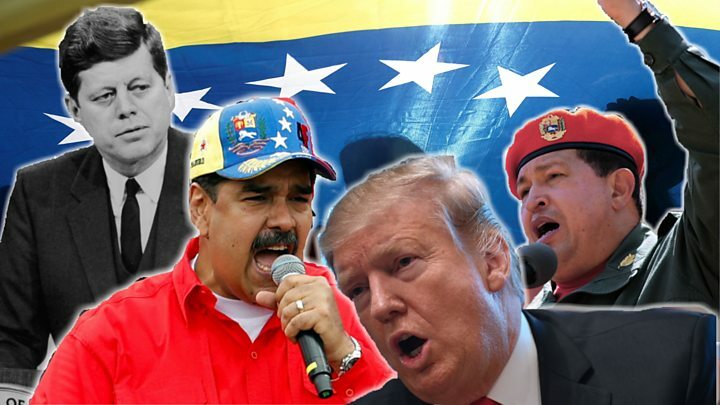 The agency has been bound up in international politics before - Russia expelled it in 2012, citing "attempts to influence political processes through grants); and Bolivia expelled it the year after, accusing it of seeking to "conspire against" the Bolivian people and government. Speaking to AFP news agency, he said the groups he was putting together would "make a first entry attempt" at the blocked bridge when they had gathered enough supplies. He said he expected this to happen next week. It would be "almost miserable at this point of huge necessity" for the military to block any convoy entering, he said. 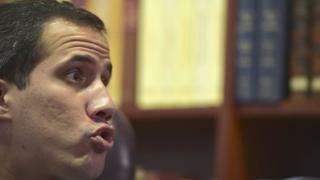 Asked whether he would authorise the intervention of foreign military forces, Mr Guaidó said: "We will do everything possible. "This is obviously a very, very controversial subject, but making use of our sovereignty and, within our jurisdictions, we will do what is necessary."